Fees associated with filing trademark applications in Malaysia, as well as other trademark fees, are available in the fee calculator. Multiple-class trademark applications are not possible in Malaysia. - Statutory Declaration that the applicant is the bona fide proprietor of the trademark and the application is made in good faith; the declaration has to be signed before a Commissioner for Oaths (for local declarant) or before a Notary Public (if signed abroad). The Power of Attorney is not required for trademark registration in Malaysia. If convention priority is claimed, a certified copy of the priority document is required with a certified English translation where documents are not in English, preferably within less than one month from filing the trademark application. Once a trademark application has been accepted by the Malaysian IPO, it undergoes formal and substantive examinations. If a trademark application has been accepted by the Registrar, it is published in the Journal. Within two months of publication, any person may file a duly reasoned objection to registration of trademark application. The official grant fee must be paid within two months from Notice of Invitation for Publication. The validity term of a trademark registration in Malaysia is ten years from the date of filing. 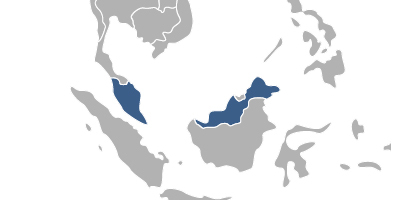 The Malaysian trademark is subject to renewal every ten years. If the renewal fee has not been paid in due date, late renewal fee should be paid within one month from the expiration date of the last registration. The average processing time from filing to trademark registration in Malaysia is 12-18 months. Registration of the trademark in Malaysia can be cancelled on the grounds of non-use by any aggrieved person if it has not been used for a continuous period of three years prior to one month before the date of the application for cancellation. Foreigners must appoint an agent, a registered Malaysian trademark attorney to perform the trademark registration in Malaysia. Online Search Database for Malaysian Trademarks.